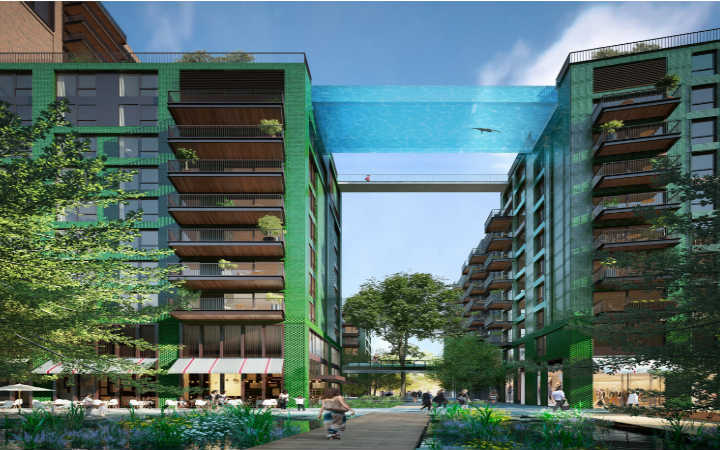 If you ever dreamt to swim 10 stories above from London’s streets, you are in luck. 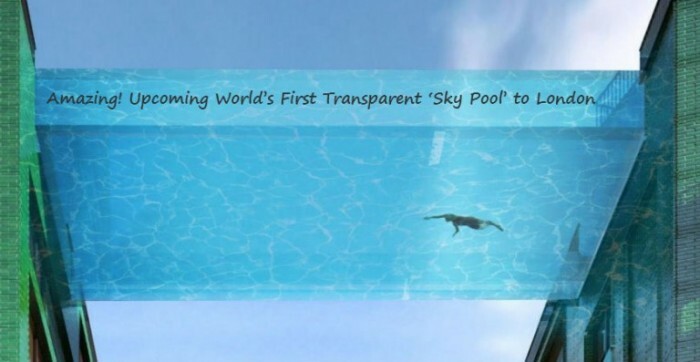 Londoners who live in luxury Embassy Gardens – a comfort 2000-home complex will soon swim laps in the world’s first glass-covered sky pool. Ballymore Group and Arup Associates created both the Embassy Garden and sky pool in London’s Nine Elms District. This pool is 82 feet long that is expected to be completed by 2018, will connect two residential buildings. The water of aerial tank will be 4 feet profound and the glass will be a 20 cm wide. In a press release Ballymore’s CEO Sean Mulryan supposed -“It will feel like floating by the sky in central London”. If it appears like a human aquarium, it’s because it mainly is. To grow it, Arup Associates recruited a team of glass and marine designers. 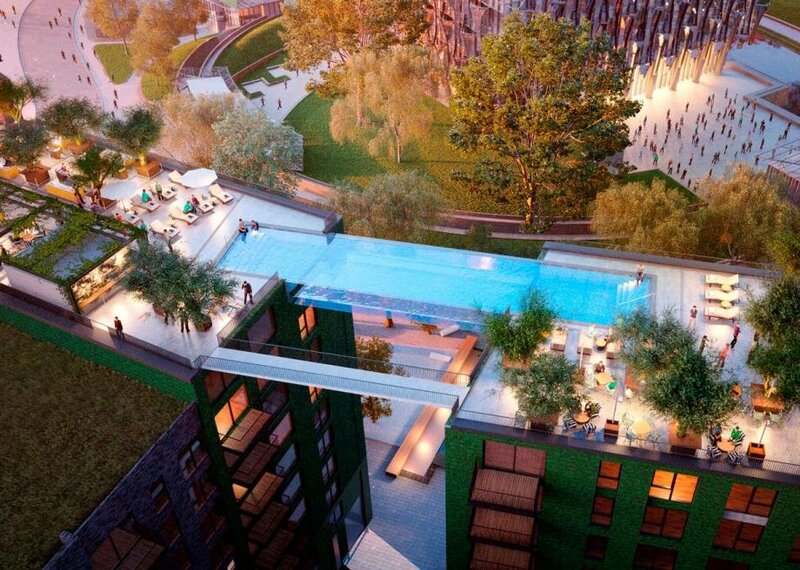 The pool will let the residents to swim between the complex’s roof top spa, bar and a greenhouse of orange trees. If the tank’s height and the thin glass look too daunting, people can also choose the nearby walkway.